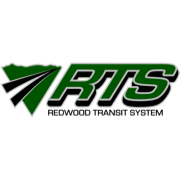 Pay for RTS passes using the Token Transit app. Token Transit is fast and convenient, getting you where you need to go with ease. Youths are persons 3 to 17 years of age. Please be prepared to show valid ID when boarding. Seniors are persons 62 years of age or over. Valid for a single ride for MAINLINE. Ticket will display for 30 minutes. Day passes are valid for MAINLINE until midnight. Week passes are valid for MAINLINE until midnight on the 7th Day. Month passes are valid for MAINLINE for 31 consecutive days after first use and expire at midnight on the 31st day. Valid for a single ride for SOUTHERN HUMBOLDT. Ticket will display for 30 minutes. Month passes are valid for SOUTHERN HUMBOLDT for 31 consecutive days after first use and expire at midnight on the 31st day. Valid for a single ride for WILLOW CREEK. Ticket will display for 30 minutes. Month passes are valid for 31 consecutive days for WILLOW CREEK after first use and expire at midnight on the 31st day. Valid for a single ride for OLD ARCATA ROAD TRANSIT. Ticket will display for 30 minutes.